New to the area or starting that new fitness goal. We have all the local gyms, YMCAs and health clubs. We also have their websites, anemities, costs and virtual tours (if available). feature to compare gyms, YMCAs and healths side by side. Stop opening and closing gyms websites to compare anemities. Once you found a fitness center you like, take a virtual tour, see if they have the amenities you are looking for, read the reviews and check for monthly promotions. 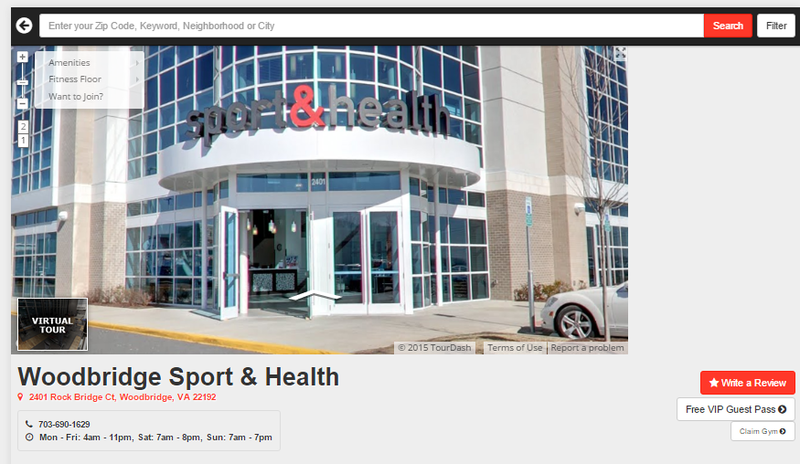 soOlis has all the information you need when search for your next fitness center. When choosing between different gyms, a person should consider a variety of factors. Whether they are looking for health clubs, a place to begin Crossfit training, or a reliable place to come to yoga classes or do Pilates, these are all factors that need to be thought of when making a choice. Read on to learn more about people should look for when joining gyms. No two people are going to start the exact same workout program at the exact same time, so finding gyms that are able to come up with a training regimen that works for your schedule and provides the help you need is important. Maybe you prefer yoga classes or you are a Pilates freak. Or perhaps you are curious about the benefits of Crossfit programs. The best gyms are those that can accommodate a variety of fitness plans. Having a top notch trainer to help you through the process of becoming fit is crucial. We all struggle to motivate ourselves from time to time, so the presence of an experienced trainer who can whip you into the proper shape is always necessary. If you are someone who needs help getting started or wishes to learn more about the best ways to work out, choose a gym with a quality training staff. Every person has different needs when they head out to the gym. Some may require free parking, while others need to join a gym with a sauna that is fully equipped. The time to find out about whether the gyms you are considering are capable of meeting your needs is during the selection process, not after. Some may only need a bare bones gym with the basics, while others will require a massage therapist, state of the art locker room, a pool or even a nutritionist. Be sure to thoroughly inspect the weights and any other exercise equipment that you will be using during your visits. If the gym has the right equipment, do they have enough to go around? Many of us do not have enough time on our hands to wait for long periods of time if equipment is occupied. Whether you are into building muscles or you are looking for a place to do your cardiovascular workouts, take a close look at the equipment you are going to be utilizing. Is the gym close to where you live? Is it busy or crowded during the times that you like to go? All of the great equipment, amenities and staff that gyms have to offer are of little help to those who cannot make the trip on a regular basis. Consider the location of the gym and your schedule before making a choice.